This morning sad CNN headlines. 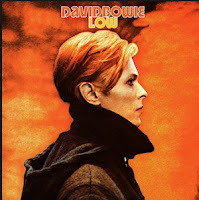 He was very much a part of our baby boomer generation's music. Rebel who was not afraid to be different. He came out as bisexual in 1976 and from what I read this morning was he's always been cool with and supportive of The LGBT Community. Was David transgender? Actually, I would say he may have been more androgynous. Many say he did that as a schtick to become famous. While I would agree with that, I'd say there was more to it. Other artists of his era did the androgen trip, but NOBODY did it as often or as well as he did ... or as publicly and in an in-your-face manner ... in a time when that was not cool with most people and was dangerous to do because of that. Maybe one of us – Either way a musical and acting genius who will be missed. 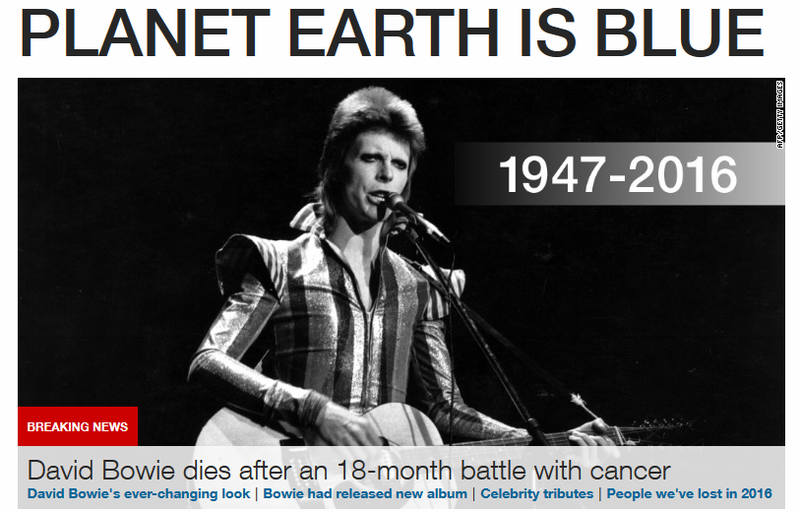 (CNN) David Bowie, whose incomparable sound and chameleon-like ability to reinvent himself, made him a pop music fixture for more than four decades, has died. He was 69. Bowie died Sunday after an 18-month battle with cancer, his publicist Steve Martin told CNN.